Houston—the city that competes the world through its energy resources not found in other areas in the U.S. When it comes to economic status, Houston is recognized as the 4th largest city of United States known for biomedical research, aeronautics and most especially oil and natural gas. The management of Globalization and World Cities Study Group mentioned the place as a global city because of the fast growing economy. 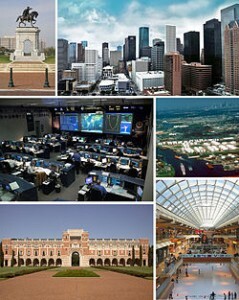 Due to prosperity of economy, Houston becomes a melting point of diverse international community. In fact, two-thirds of foreign population are coming from Mexico and one-fifth are born residents from Asia. There are a lot of events to celebrate each year because of the diverse cultures of Houston including Art Car Parade, the International Auto Show Festival of Houston, Houston Greek Festival and many others. Houston’s climate is humid subtropical. In summer, temperature ranges only 32C as its average. Winter is fair temperate; the coldest month is January although snowfalls happen very rarely. A stable city in terms of economic, Houston has a lot of interesting sites to offer. Houston has some of the best inspiring museums not found in other parts of the country. 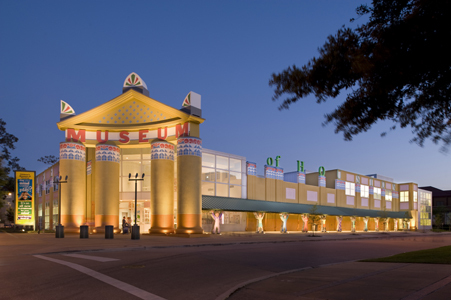 Museum of Fine Arts – This was the first museum in Texas that was opened to the public in 1924. With its 300, 000 m² of exhibition space, it features 18 acres of beautiful gardens that can hold more than 2 millions of visitors every year. This icon is considered as one of the largest art museums found in the United States. Children’s Museum, Houston – This imaginatively designed building is rated No.1 children’s museum in the United States according to Parents magazine. Children Museum in Houston has 90, 000 m² area with plenty of innovative or educational exhibits for children. That is why this is the favorite place for children and parents in Texas especially during their vacation. Buffalo Soldier Museum, Houston – Houston’s Buffalo Museum was constructed in commemoration of the legacy of the Buffalo Soldiers who fought courageously during World War II. Art Car Museum – The museum specializes in car arts. Its collection of arts consists primarily of modern contemporary arts, particularly cars. Because it is a private institution, it is little known to other cultural institutions. Bayou Bend – The former residence of Houston’s Philanthropist Ima Hogg is now a well-known flair of Museum of Fine Arts. It is a place for America’s best collections of ornamental fine arts, numerous furniture and famous paintings. Houston is dubbed as the “Space City”, “Bayou City” or “H-Town”. Houston might not have been widely popular for its music scene, but the city’s independent music and the hip-hop has been making great influence in the Southern hip-hop enthusiasts. Some hotels in Houston offer live performances on special occasions. Travel Guide to 5 Best Cities in U.S.